I’ll admit it – I’m a HUGE fan of winged liner. It doesn’t matter if it’s a small wing or a dramatic wing… I’m all about it. That’s why I’m so excited that Ange asked me to share my technique with you all because it is SO easy. Seriously! If you’ve ever been intimidated by winged liner in the past you can officially get rid of those fears because I’m here to tell you that you can get it done with two lines. Yep! Only two lines. This tutorial follows the natural shape of your eyes so you get a perfect look each time. It can be customized as well but when I’m in a hurry this is the quickest, easiest, and most fool proof way I can create a dramatic eye look. 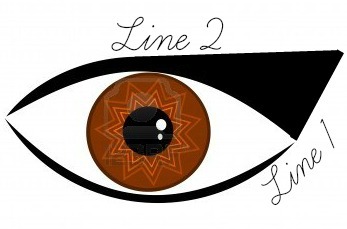 The second line (otherwise known as “Line #2”) is drawn from the inner corner of your eye straight out to meet the tip of line #1. 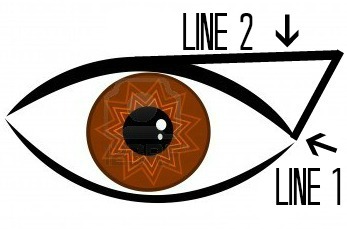 It sounds crazy but by drawing a straight line you’ll naturally create a wing on the outer corner of the eye. Since the eye is oval in shape your wing will start where the oval starts to round down in the outer corner. Connect Line #2 to Line #1 and you’re done! After connecting your lines fill in the triangle and apply mascara. 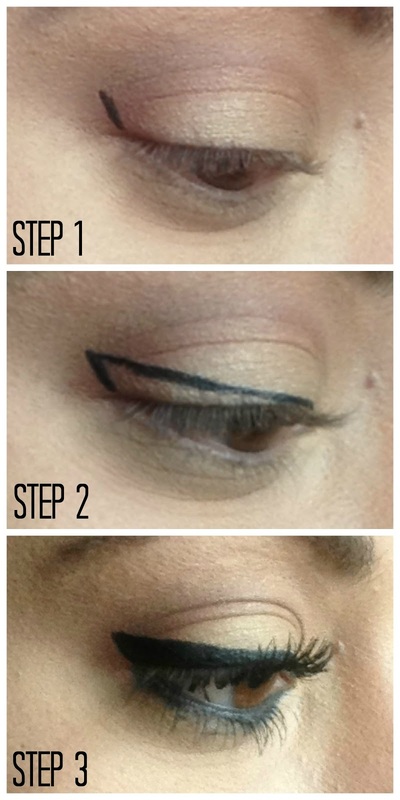 You’ve officially mastered the winged eyeliner look! As far as products go I personally LOVE to use an eyeliner pen stylo for winged liner because it’s a one stop shop. The pen is easy to hold and I don’t have to keep dipping my brush into a pot of product and disrupt my winged eyeliner mojo. My absolute favorite eyeliner pen is made by Alcone at Home and it’s awesome! It’s got a perfect formula, dark pigmentation and a perfect brush so it really makes this technique a breeze. Are you a winged liner lover like myself? Have you been nervous to try this technique? Comment below and let me know! BIO: Casey is a New York City based hairstylist, beauty blogger, and dachshund aficionado. 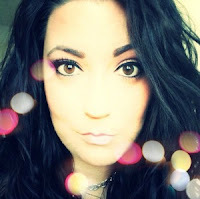 She can be found rambling about all thing beauty over at her blog, Beauty 101. What Are The Best Blush Colors? Great tutorial Angela. 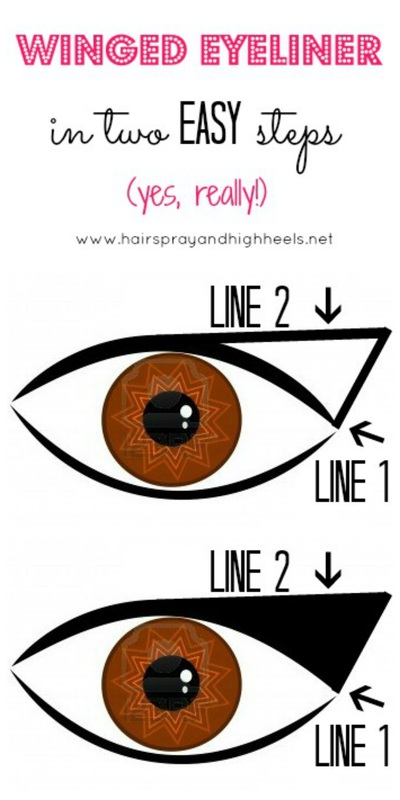 I wear eyeliner every day, so I’ll try this method today! I wish I could do winged eyeliner but my right eye has this wrinkle right where the wing is so it looks awful and the color always ends up bleeding 🙁 This is a great guide though! Love how easy this tutorial is!!! I LOVE YOU. Haha, thanks for the tip! I just received a new liner in my Birchbox and tried this technique. Works well. I am forever in the pursuit of the perfect cat eye. Thank you for this quick easy tip. Great tutorial and tips! This is the way I’ve been doing my wing for a while now and it’s so easy and foolproof! Great tip!! I always struggle with this. I do the same thing, but with a gel liner and an angled brush and then move on to a liquid (dip in)eyeliner to draw the line along the lash line and to fill in the “triangle”. It really is the easiest way to apply eyeliner. That is exactly how I do it. All of my IRL friends complain that they wish they could do winged liner. I keep telling them that they are overthinking it. I tried this and it didn’t really work for me, but I’m makeup challenged. I’ll keep trying!! This is great, you make it easy!